Ever wanted to know more about the scribe who thought up the Shire? The man behind Mordor? The writer of The Ring? The author to Aragorn? Well, the second trailer for J.R.R. Tolkien biopic Tolkien is now here. 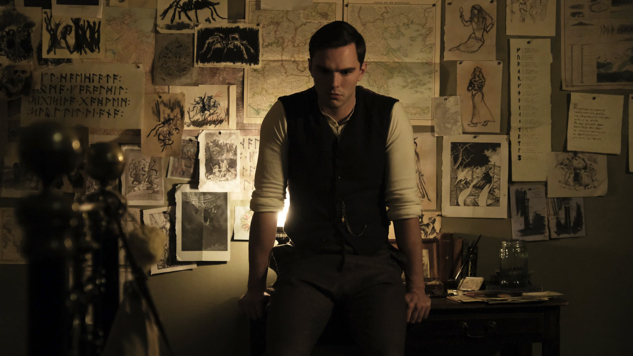 Linguistics, love and the Great War all play into the life story of the legendary fantasy novelist, played by Nicholas Hoult, and his relationship with wife/muse Edith Bratt, played by Lily Collins. Judging by some serendipitous musical cues in the trailer, one can assume this period piece will give insight into some of the formative moments that later inspired Tolkien’s works, like The Lord of the Rings and The Hobbit. Colm Meaney, Anthony Boyle, Dereck Jacobi, Patrick Gibson and Genevieve O’Reilly also star in the biopic by popular Finish filmmaker Dome Karukoski. No stranger to the genre, Karukoski is fresh off of Tom of Finland, another biographical tale of an innovative artist and his struggles as a soldier. Relative unknowns David Gleeson and Stephen Beresford penned the Tolkien screenplay. Tolkien is out in theaters May 10. Watch the second trailer below.